My family loves to camp—tents, sleeping bags, cook stove, campfire, the works—but it’s not for everyone. 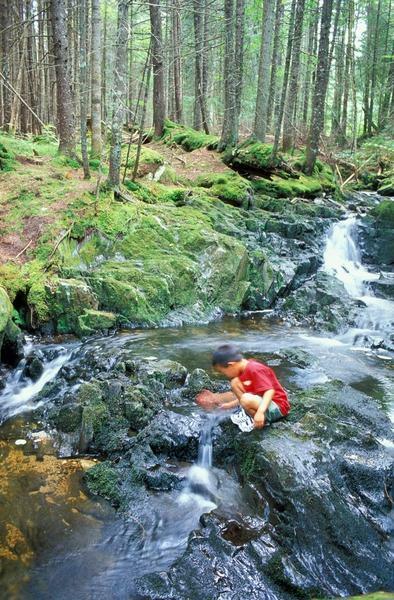 Fortunately, there are wonderful spots to enjoy nature in New England that are about as close to camping as you can get, without having to worry about bad weather, loading up on gear, or a family member who is just not that keen on sleeping on the ground. A recent discovery I made is the Maxwell Mays Cottage at the Audubon Society of Rhode Island’s Maxwell Mays Wildlife Refuge in Coventry. While it’s located just about 25 minutes south of Providence, it may as well be across the country, that’s how remote it feels once you’ve arrived. The sweet little cottage was donated to the Audubon Society by the late folk artist Maxwell Mays in 2009. It sits in seclusion on the 295-acre refuge, on the edge of Carr Pond, your private body of water for the duration of your stay. Use of the pond is restricted to guests at the cottage. With two bedrooms, living room, an enormous screened-in porch, a well-appointed kitchen, outdoor grill, a kayak, and a canoe, it’s a perfect family getaway. The cottage is $1,000 for a weekly rental in season; $200 for one night; and $300 for two nights. Just last weekend, the Audubon Society opened the Hammitt Hill Trail on National Trails Day (June 2). This is the second trail on the property, giving hikers 4 miles to explore (well away from the cottage, though). In Massachusetts, two Audubon properties also offer cabins. At the Pierpont Meadow Wildlife Sanctuary in Dudley, members can rent Pierpont Cottage, which like the Mays property, features a private pond. The two-bedroom dwelling, near the shore of Pierpont Meadow Pond, has a fully furnished kitchen, bathroom with a shower, and a dining/living room area. A canoe, with paddles and life preservers, is included with the rental. The cabin is available from May through September and rents weekly rate for $550 or $200 for the weekend. On the more rustic scale, the Ipswich River Wildlife Sanctuary allows members the opportunity to rent a small cabin, which sleeps four and is located close to the sanctuary’s office. It’s got a wood stove inside and you use the property’s public restroom. Call for rates. The unique Rockery Trail here is a family favorite. 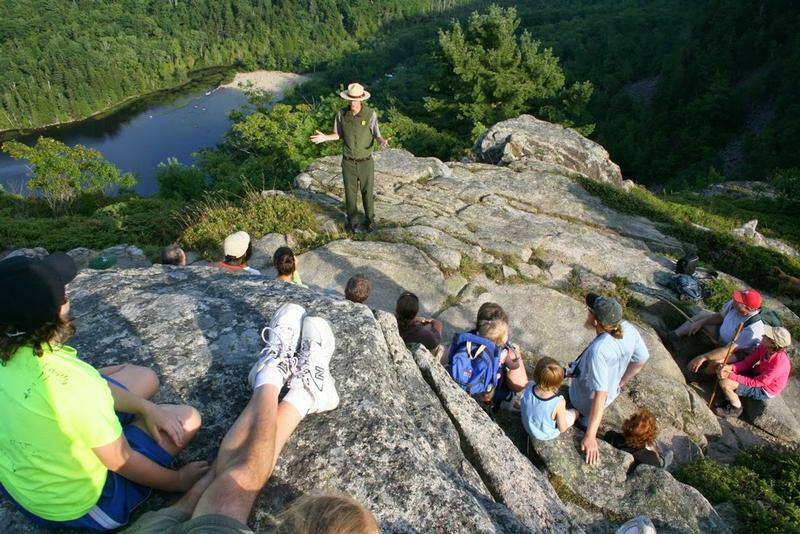 If you don’t mind the possibility of sharing your outdoor adventures with other enthusiasts, the Appalachian Mountain Club has some wonderful options for families as well. Noble View Outdoor Center in Russell features cottages and a farmhouse and Ponkapoag Camp in the Blue Hill Reservation has 20 cabins. Fees range depending on season and days; check the websites for details. And who knows? After experiencing the joys of nature in these special places, camping may be next on your family’s agenda. We believe that rain doesn’t need to “go away,” but rather people need to go outside despite the wet weather.